How do I get my Louisiana commercial contractor’s license? Upon receipt of the application, the State Licensing Board for Contractors will send you an examination scheduling notice with the date of your exam. When do I need a Louisiana commercial contractor’s (NASCLA) license? Any construction project of $50,000 or more ($1 or more for hazardous) must be performed by a licensed contractor, even the homeowners themselves. There are no provisions in the law to prevent an owner from applying for and being issued a contractor’s license. Why should I take the NASCLA exam? 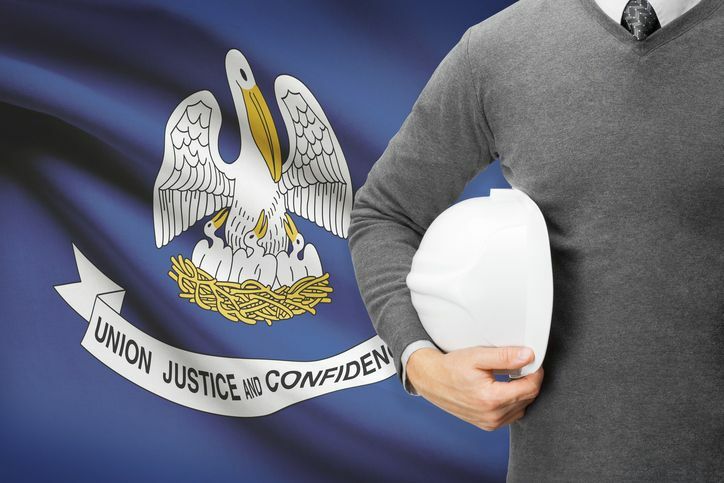 Contractors must pass the NASCLA exam to do commercial work in Louisiana. The NASCLA-Accredited Commercial Contractors license allows contractors to work in multiple states with little or no additional exams. Some states may require NASCLA license holders to pass a state-specific Law exam, however, you will not be required to pass a separate Commercial Trades exams. States currently accepting NASCLA licenses include Alabama, Arkansas, Georgia, Louisiana, Mississippi, Nevada, North Carolina, Oregon, South Carolina, Tennessee, Utah, Virgin Islands, Virginia, and West Virginia. Can I do residential work with a Louisiana commercial contractor’s license? Yes, commercial contractors can do residential work, in fact, contractors working on more than one residence must have a commercial contractor (NASCLA) license. What can I expect from the Louisiana Business and Law exam? The Business and Law exam is an online, open book examination based on the Contractors Guide to Business, Law and Project Management, Louisiana Contractors 12th Edition. You will have 4 hours to complete this 50-question examination from the minute you first begin. What can I expect from the Louisiana NASCLA exam? The NASCLA exam is 115 questions, you will be required to get 81 answers correctly. The exam lasts 330 minutes and covers estimating, bidding, preconstruction, project management, project construction, project closeout, business, and fiscal management. Where can I find exam prep for the Louisiana Business and Law and NASCLA exams? Builders License Training Institute offers online HD video exam prep for the Business and Law and NASCLA exams. Exam prep is available 24/7 and broken into several sections, making it easy for contractors to work through the materials at their own pace on any internet capable device. Is the NASCLA an open book exam? Yes, there are 20 references books allowed in the exam. A complete list of books is available here. This entry was posted in Construction and tagged Louisiana Commercial Contractor, Louisiana NASCLA license.